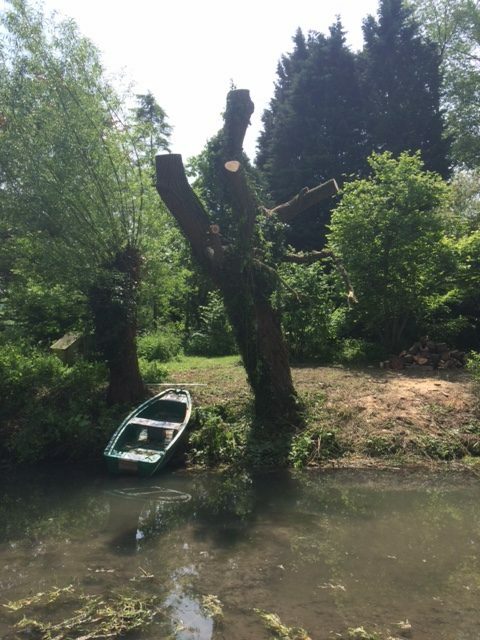 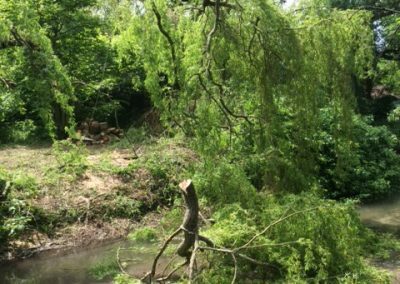 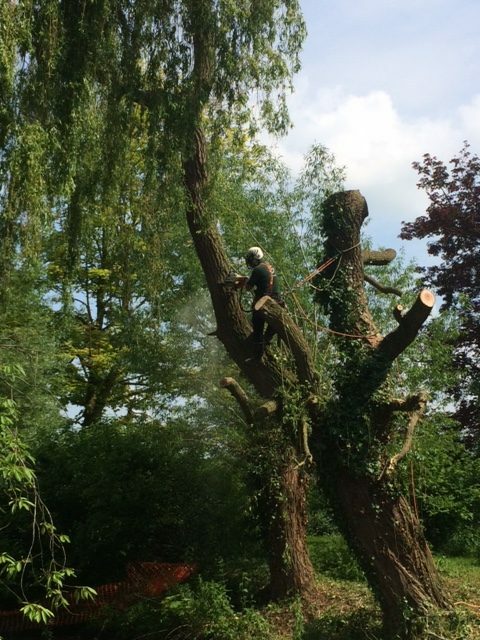 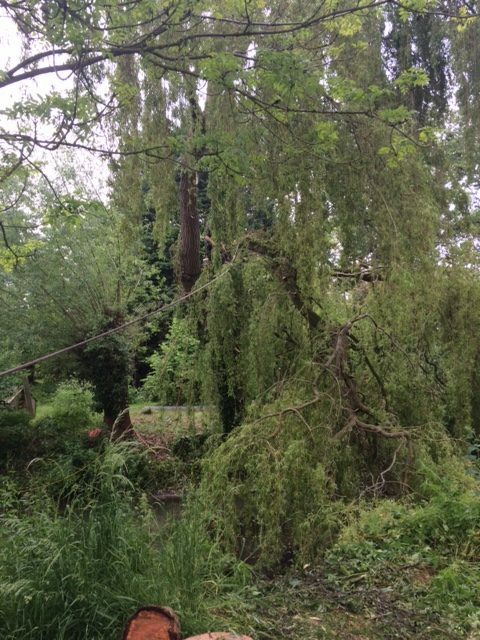 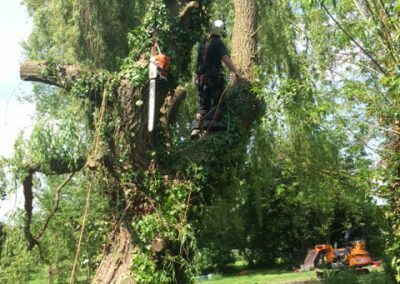 Emergency Tree Services - Storm damaged Willow tree. 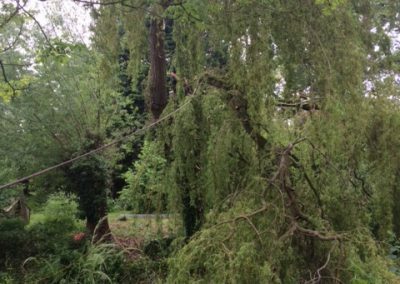 Emergency Tree Services. 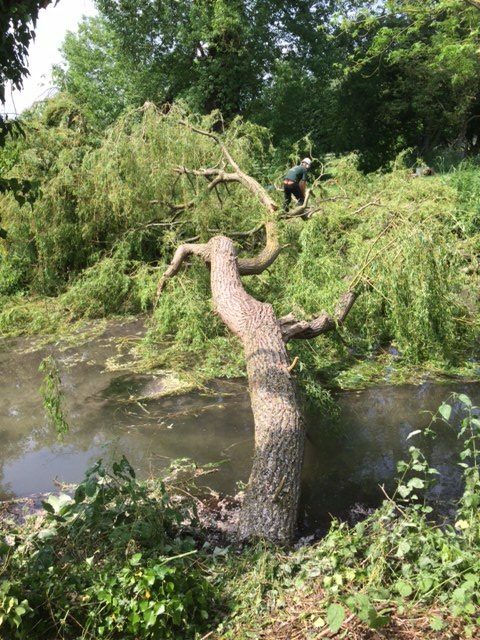 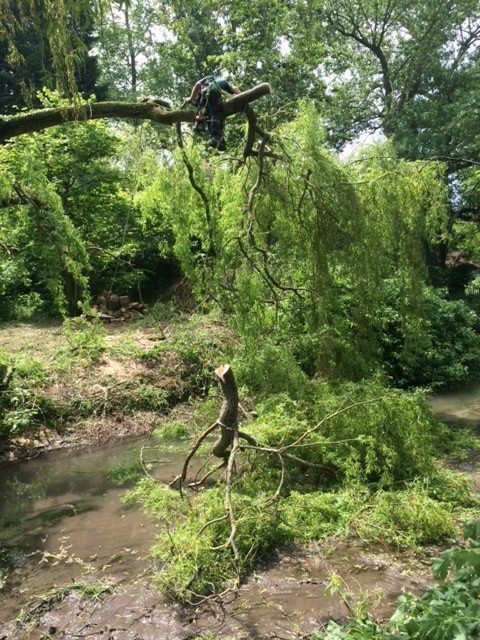 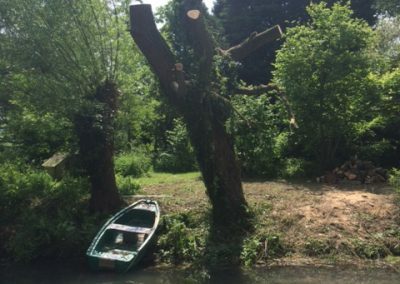 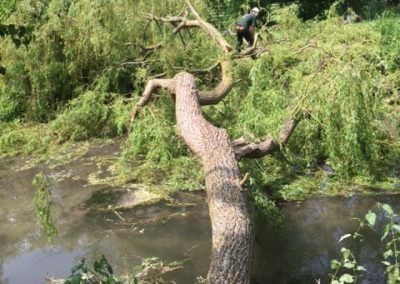 In this example OLTS were setting up to pollard a storm damaged Willow tree. 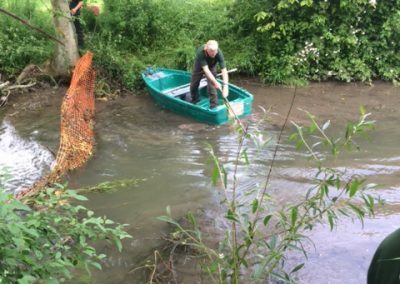 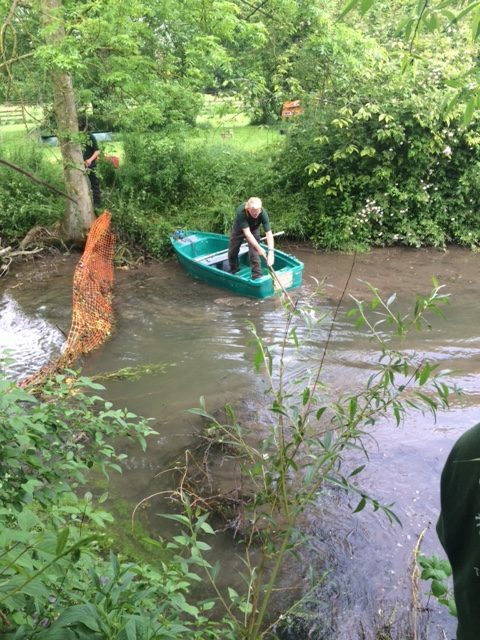 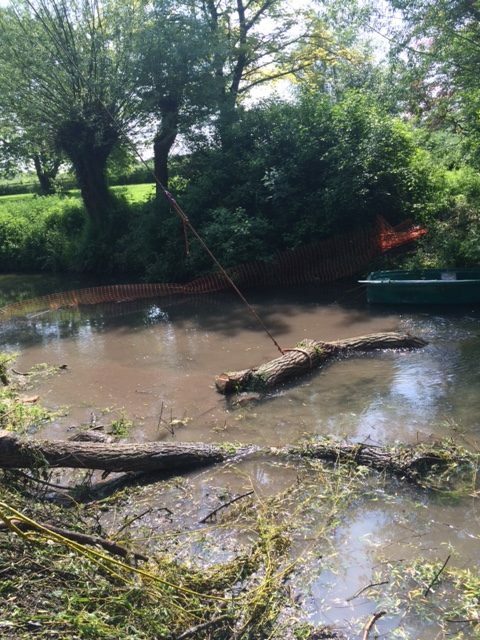 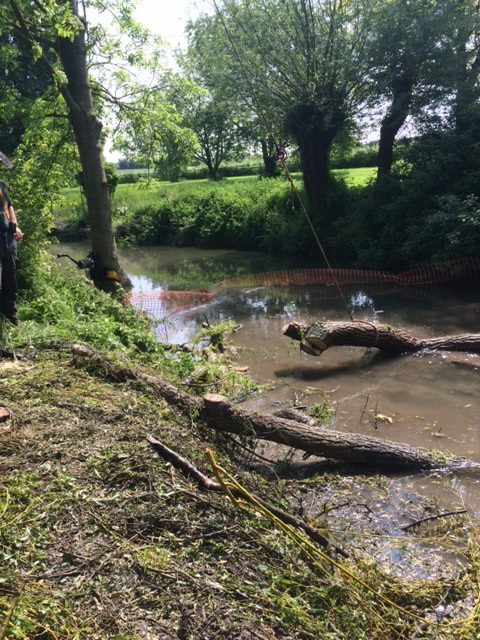 A net was put in place to catch any brash that could interfere with the sluice gates downstream. 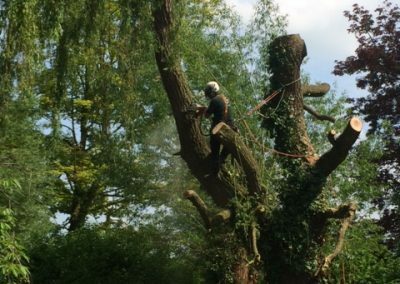 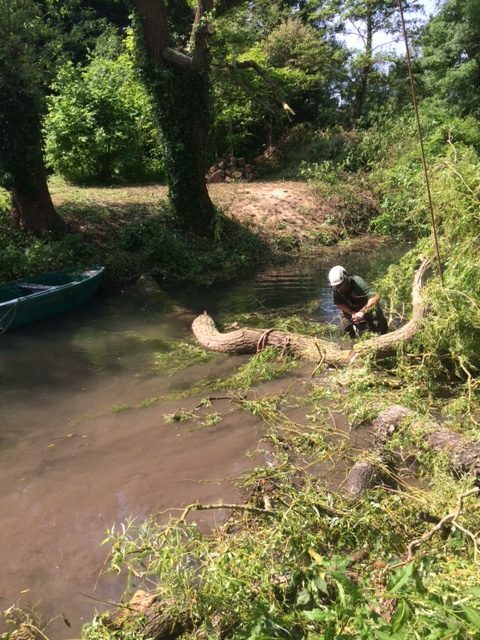 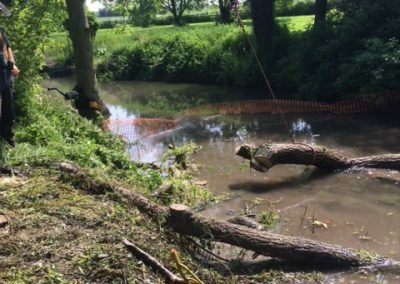 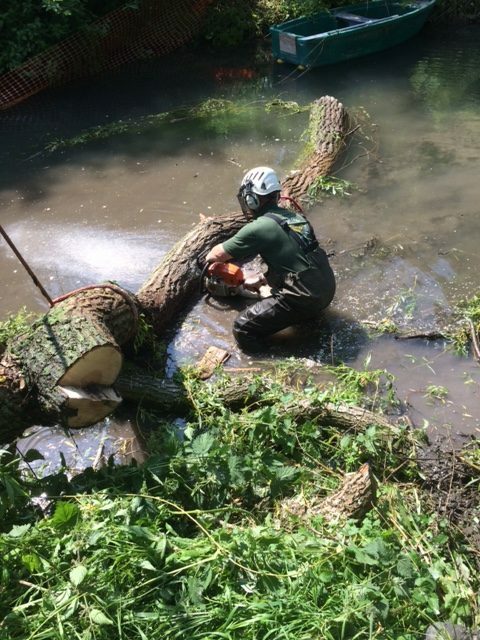 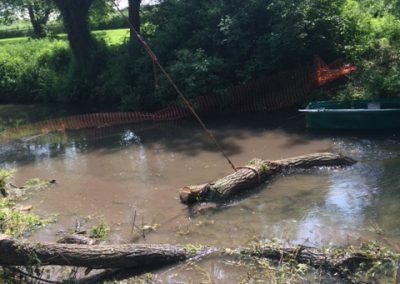 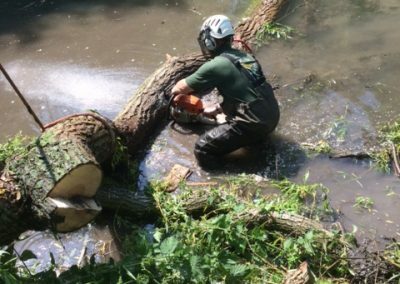 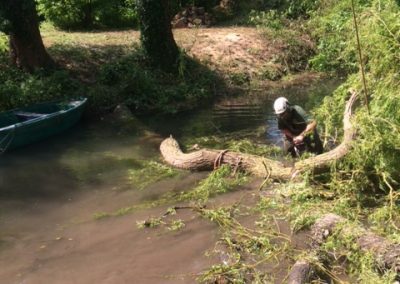 Please flick through the pictures below to see an example of Oak Leaf Tree Services’ team in action. 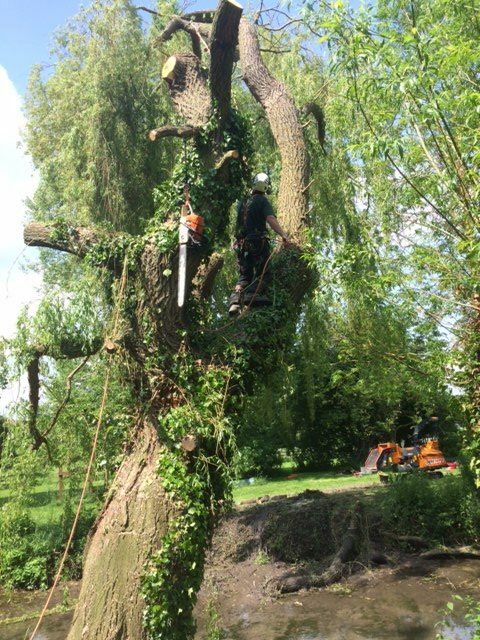 You can also see more in our blog by clicking here.